Objective: To know the associated medical conditions in patients requiring dental services and help enlighten the dental practitioners in light of the co morbidities in our local population. 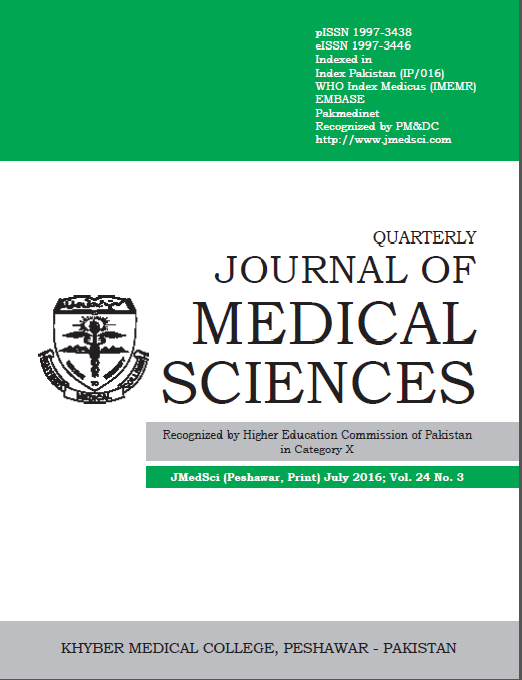 Material and Methods: This descriptive, cross-sectional study was conducted on a total of 4269 patients reporting to the Dentistry department of Services hospital, Peshawar from December 2012 to February 2014. After taking informed consent from each patient, a detailed history was recorded on a specially designed Performa to find out the prevalence of medical problems in patients requiring dental treatment. The data so collected was analyzed by using SPSS version 21. Results: Among 4269 patients, 978 (22.9%) patients were afflicted with co morbidities in which 53.2% were female while 46.8% were male. Majority of patients were in age group 51-60 years followed by 41-50 years. The most frequently encountered disease categories in the present study were hypertension (35%) and diabetes mellitus (21.9%) followed by hepatitis (13.6%). before any dental procedure. Continuing education courses should emphasize on subjects like management of medically- compromised patients and medical emergencies. Knowing about the interrelation between systemic and oral diseases will help the dental practitioners to avoid or manage life threatening complications that may occur during dental procedure.